Painting is something that helps us through everything. 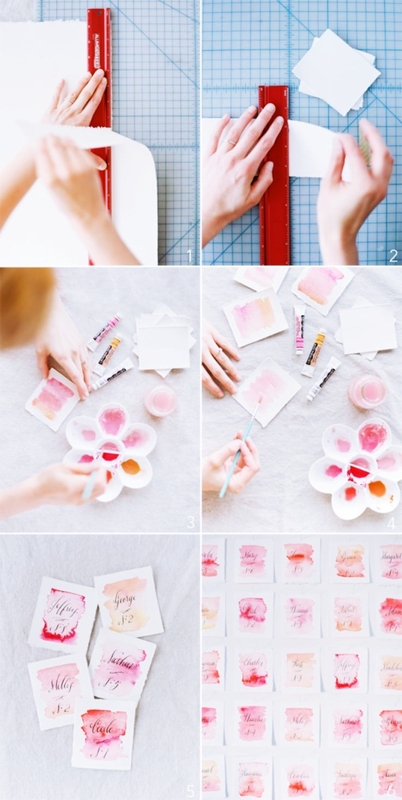 Apart from just allowing us to whack our creative sides, these Quick 5 Minute Painting Projects also makes our boring hours turn into something useful and colourful. You may be surprised to know that just one hour of painting can do wonders to your brain, and then the happiness after seeing the complete artwork in total another level. But, in your busy schedules, do you really get a lot of time to spend on a painting? Well, who said you need hours together to paint. I say, 5 minutes is just enough! How about having fun and recreation this winter in an extraordinary way? This is very easy and creative. Use watercolours and paint a slice of watermelon with loose hands. Make sure to keep colours light and your hands steady. Doodling is fun to try too! For this, use a dark background so the colours will pop out and your flower painting will look more beautiful than ever done. 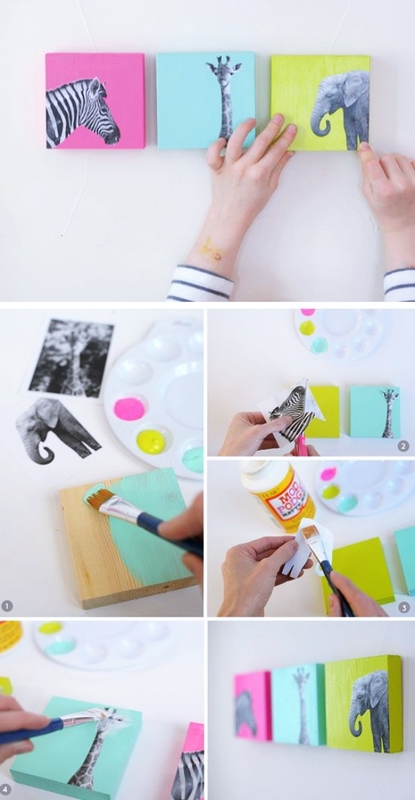 You’ll have to use three different colors with, yellow and dark green and the steps are super easy to do. Make these easy peasy PVC crafts in just a few minutes and paint them to dash them up. Looking for creating greeting cards with your own imagination? Consider this one. Wet the whole surface after drawing the design from the pencil. Now wet your painting tool and put the colour. Don’t let the water sprawl away more than intended. This is super cute and super creative and people will definitely love it. Whittling wood could be tough to take up as a beginning project but why not when just colouring could make the attempt successful. This is super creative and super colourful. 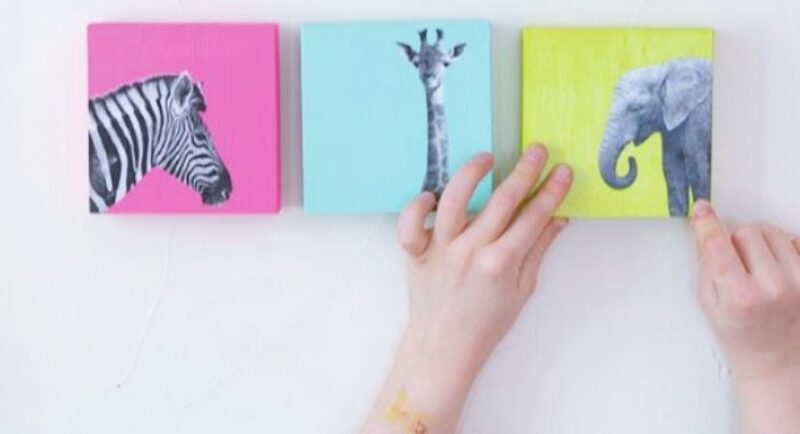 Take your favourite different colours and paint a rainbow on canvas. Now cut the tape into small equal parts and stick in such a way that it leaves little space in between. Now paint it with white colour on top. 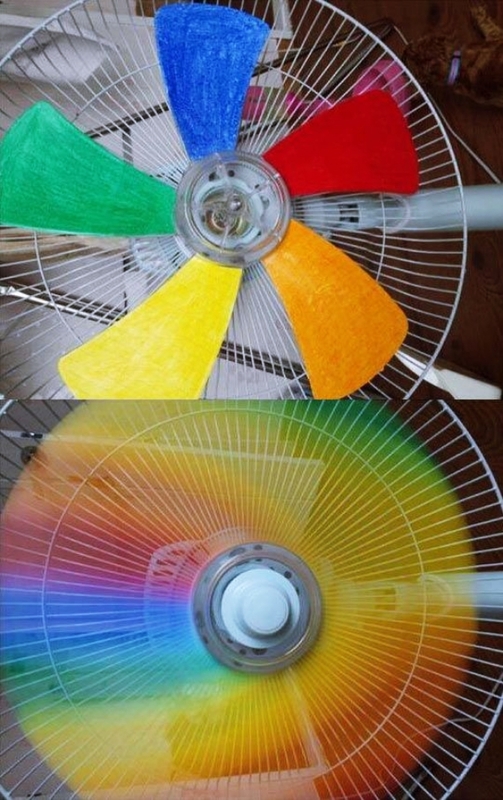 When you’ll remove it afterwards, the rainbow will create such a pattern that it will give a trip effect. Mixing media is the new trend in the world of paintings that make it look extraordinary. This is totally freehand drawing. Paint a rough cactus or anything you want. Don’t make it too rough so that it looks ugly. Now paint the picture and there you have your succulent art to showcase. Talking about succulent plant inspired paintings makes me wanna think of the creative projects for the backyard. You must have seen videos on Facebook and YouTube of painting surface by dipping in water, well we have something same for you. 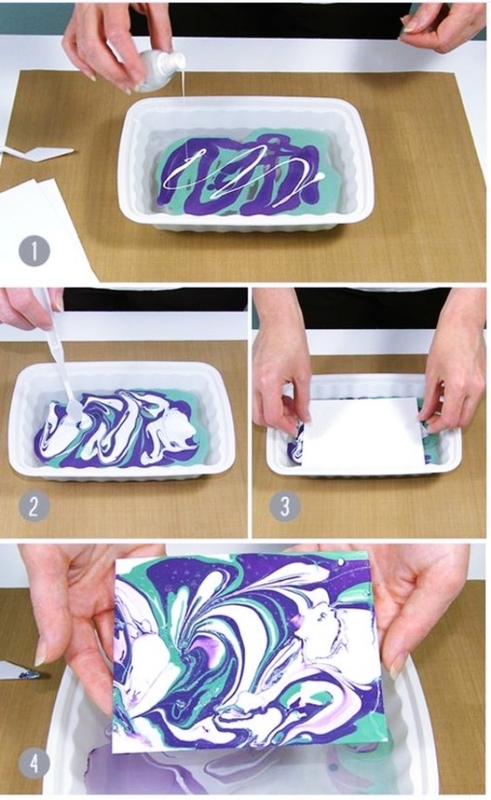 Create your wanted design on water, start with easy one, now take your wanted surface and dip in carefully so that the design sticks on it. Now dry it and you’re good to go! This is my personal favourite on this list. Draw your wanted design on the bottom of the paper or wherever you want it to be. Now cover it with a piece of paper. Stick the crayons on the upside after removing the cover. Now blow dry these crayons so they melt off and become like rain. 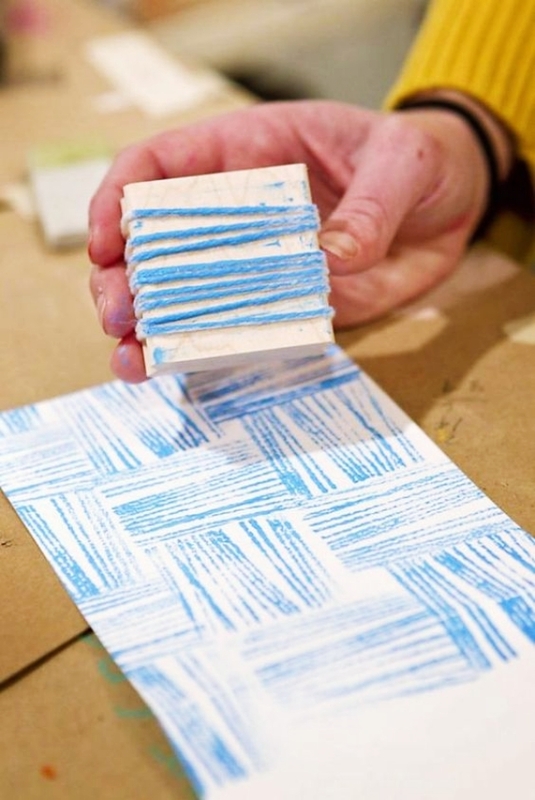 After being dry, remove the waste crayon sticks and also remove the paper from the design. This one is actually super fun and no rules are applied here. Put dots of colours on your painting surface. Now take a paintbrush and mix it all. It is highly attractive and fun to do and you’ll be amazed by the outcome of this fun brush stroke painting inspo. Put the colour in water and mix it a bit. Now dip the bottom of your mug and let the paint settle on it. There you have a new fun mug which people will definitely ask you about. Take a wooden square log and tie a rope on it in such a way that it creates a pattern. Now dip it in colour and dab it on the surface. Make any pattern you want and in any way you want. Takes sandstones with the smooth surface. Clean it and paint any type of colourful designs and mandalas you want to be on it. These type of stones will give your home a hippy effect which will look extremely cool. This is a fun thing and you can let your children do it too. Cut the bottom of a bottle and clean it. 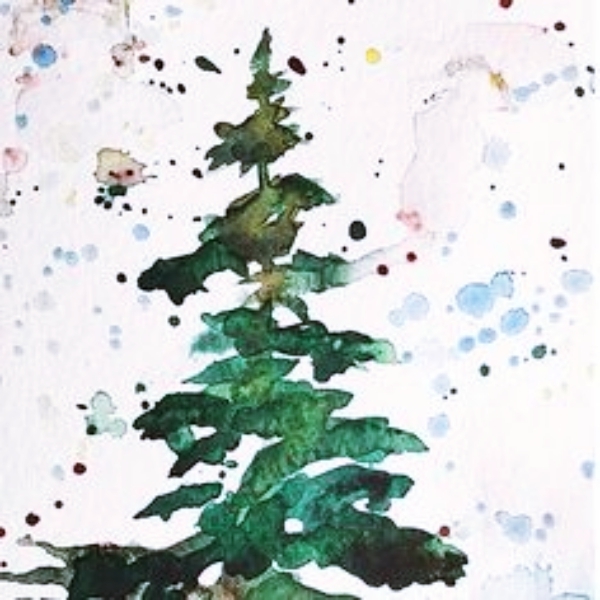 Make the stem of a tree on the surface and paint it and now make branches. 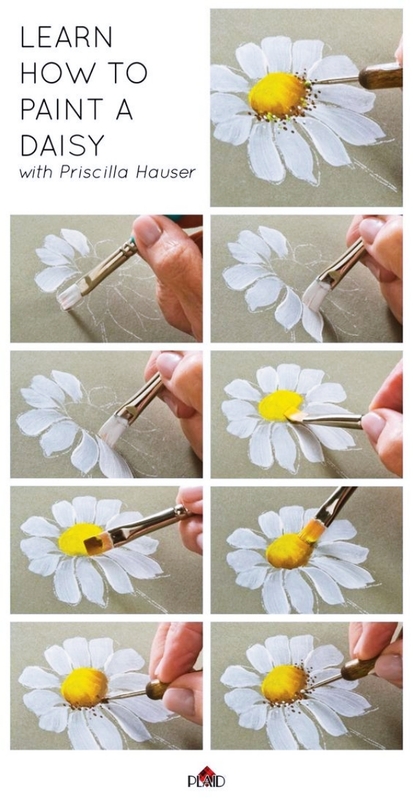 Dip the bottom of a bottle in colour and dab it on branches to create the effect of the flower. Here is our Quick 5 Minute Painting Projects For 2018 and you can now try them too easily without going off your budget. Try them and us how you liked it.